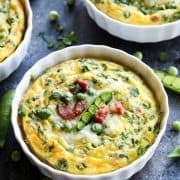 I cant wait to make this and serve it inside a breakfast burrito ! I imagine it would also be delicious with roasted chickpeas on a green salad. Thanks for the recipe. 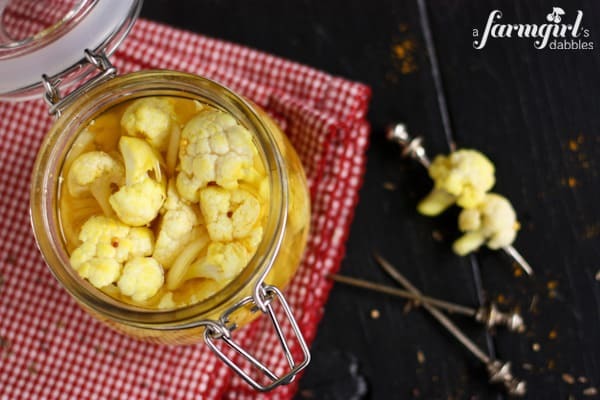 Wow pickled curry cauliflower! Now that is interesting. I’ve seen a lot of pickled everything being from Louisiana but cauliflower is something new. this has been added to my list of things to try!! and brandie from country cook send me, glad she did. 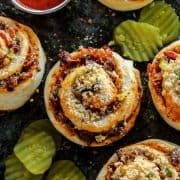 I just made these, they are awesomely delicious! I continued the Indian theme and added a few cardamom pods, dried red chiles, bay leaves and a couple whole cloves. Thanks for the recipe! Oh wow! I would love to try this! I love pickled anything…the more vinegar in something, the better! The texture I bet of the cauli is just perfect! I agree with your vinegar thought, I love it, too! And, yes, the texture of the cauliflower is perfect for this. Thanks, Averie! So fun! I just love anything pickled! 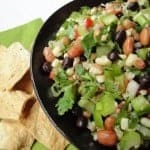 Great recipe, this would be a great hostess gift for summer barbecues. Great idea! I’ve given some small jars to friends, but should definitely make some more for summer get togethers…awesome hostess gift! I seriously cant wait to try every recipe you have listed above for cauliflower… you are rockin it girl! What a great summer time recipe. I’ll make a jar for my family and give the other two as gifts. Thank you! I love how you think! It’s so fun to give gifts from the kitchen! Such an awesome idea for one of spring’s best veggies! Pickled deliciousness. Love this recipe and I’m with Marly – I’d be eating that entire jar. Give me anything with a pucker and I’m in. Even cauliflower. This get’s me so excited for canning season! It’s almost here :) I love pretty much every pickled vegetable…especially pickled beets :). I could definitely see eating these straight from a jar…although they might be great on a salad as well. Can’t wait to try it! 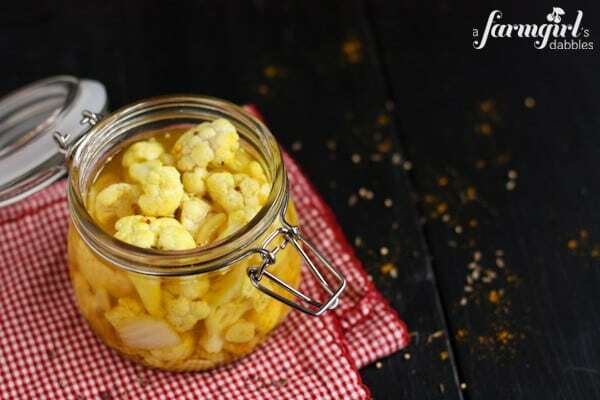 I’ve pickled many vegetables in my day, but never cauliflower! 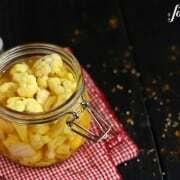 Definitely going to have to give these a go because, I too, enjoy the curry-cauliflower combo! Love anything pickled! 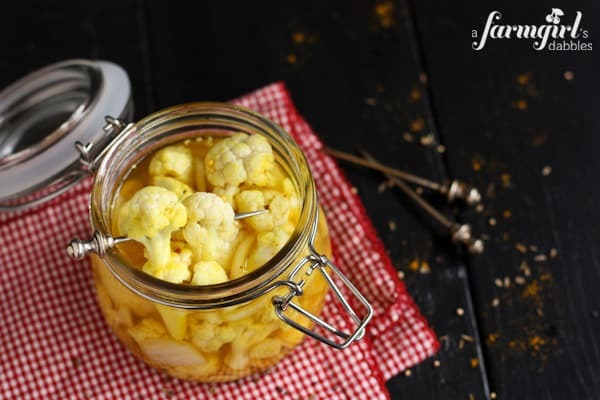 Great idea to use cauliflower!